This solid stone cream marble radiator with electrical heating element. This marbel radiator has good heat retention properties and the modern technology in the heating elements produce an efficient way to heat your home. 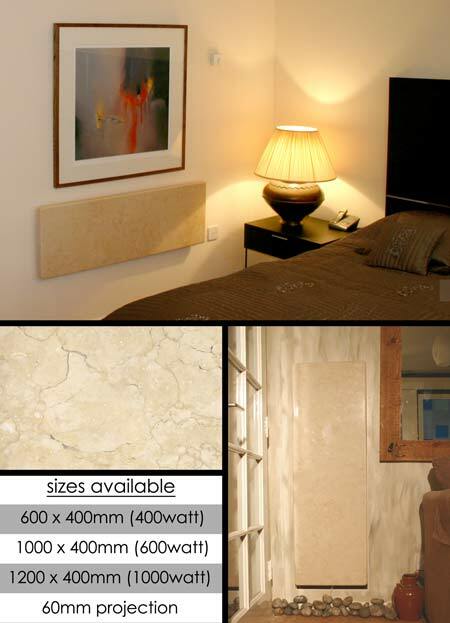 Each stone radiator is 4cm thick and can be used as a portrait or landscape heater. A central heating version is available to special order and is priced on application. * Central heating radiator is available to special order.